Social media can be a powerful tool if you know how to use it. This 45 minute webinar focuses on how to use social media as a strategic initiative to increase your marketing reach, integrating new tactics with your existing marketing to maximize results. Don’t miss this opportunity to learn from marketing consultant Jennifer Beever. Jennifer is an Inbound Marketing Certified Professional (IMCP) with Honors Distinction, which recognizes proficiency in Inbound Marketing principles and best practices, including blogging, social media, lead conversion, lead nurturing, and closed-loop analysis. Only 15% of IMCPs receive Honors Distinction. Today Jennifer helps her clients integrate social media and digital marketing with traditional marketing to optimize return on investment and time. 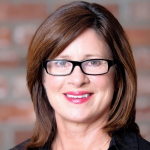 A frequent speaker on marketing, recently she has presented to groups including Vistage, Renaissance Executive Forum, and the SouthBay CEO Forum, ProVisors, Association for Strategic Planning, and the Institute of Management Consultants.